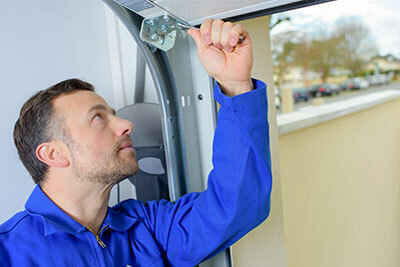 Corpus Christi Garage Door Repair services Bishop, TX and the surrounding communities for all their garage door repair and installation needs for both residential and commercial customers. When it comes to overhead doors, there are a lot of parts and moving pieces to consider. 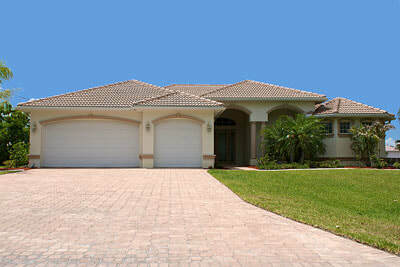 One of the most important aspects of any garage door is the garage door opener. Undoubtedly a must-have accessory, garage door openers make our lives so much easier. But, like with all electrical appliances, problems may arise, and when they do, you need to know what the specialists are talking about. Let us help. First, ask yourself these questions. Does your garage door opener operate with a chain drive or a belt drive? A chain drive uses a metal chain, a bit like a belt, and a belt drive uses a rubber belt reinforced with steel fibers. Belt drives tend to be quieter. Does your garage door opener use AC or DC? Most people have AC door openers are they are cheaper to use, but if your door opener is equipped with a backup battery, it’ll be a DC opener. What kind of trolley does your door opener use? A one-piece, the sturdiest choice, or a three-piece that has to be solidly bolted together. What level of power does your door opener have? 0.5 HP or 0.75 HP? Chances are it will be 0.5, because if your garage door is properly balanced, that’s more than enough power to lift 8-10lbs. Our garage door specialists may also talk about other major components, such as gears, made from durable hard plastic, and electronics, including the logic board. Once you’ve figured out the basics, it’s time to consider garage door opener accessories. There are tons of different garage door opener accessories on the market, all garage door openers these days come with remote controls that are equipped with rolling code technology to prevent other people from accessing your garage door opener signal. All also come with automatic reversal systems as standard, ensuring that your garage door never closes if there is something in its path or if it senses resistance. Many door openers come with control panels or door control buttons. Control panels are a great option as you can set them up to block any remote access if you’re going to be away from home for a while. There are tons of other optional accessories that won’t cost you an arm and a leg, such as Wi-Fi connectivity, so you can operate your garage door from an app on your smartphone or mobile device. Laser parking sensors so you always park in the right spot. Exterior keypads so you never have to worry about your kids losing their keys again. And finally, mini remotes that attract less attention than their full-sized counterparts. Mini remotes are a great option you can simply attach to a keychain. Whether you need assistance with your garage door opener, or your garage door itself, Corpus Christi Garage Door Repair is here to help. From repairs to installations and replacements, you can count on us for all your garage door service needs in Bishop, TX.